Muhammed Ali's hometown of Louisville, Ky., has renamed its airport in honor of the boxer-turned-activist who died in 2016. "Muhammad became one of the most well-known people to ever walk the Earth and has left a legacy of humanitarianism and athleticism that has inspired billions of people," said Mayor Greg Fischer in a press release from the board. "It important that we, as a city, further champion The Champ's legacy, and the airport renaming is a wonderful next step." Lonnie Ali, his widow, said she was proud of the board's decision. "Muhammad was a global citizen, but he never forgot the city that gave him his start," she said in the statement. Muhammad Ali called Louisville "one of the greatest cities in America." After defeating heavyweight champion George Foreman in the historic 1974 "Rumble in the Jungle" match, he gave a shout-out to his hometown. "I'm recognized all over the world now, but my greatness came and started in Louisville," he said. 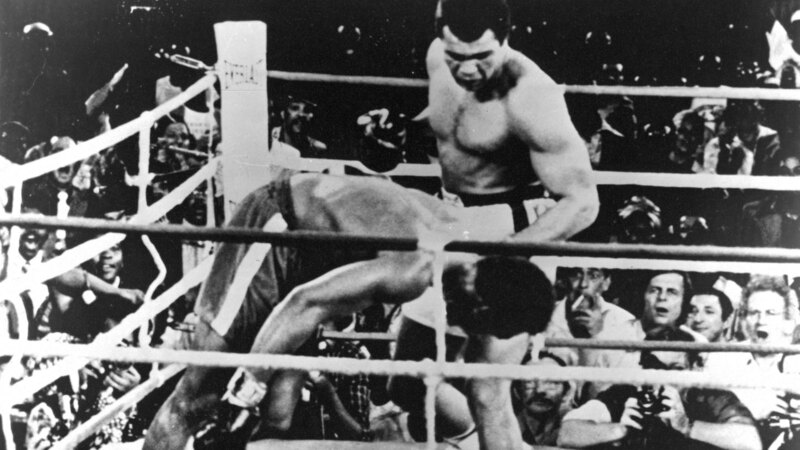 Ali's boxing career was launched with the help of a team of investors in Louisville. Those businessmen introduced Cassius Clay, as he was known, to his long-time trainer Angelo Dundee. The boxer polarized his hometown and the world throughout his career. He was outspoken about everything from his boxing skills to his Muslim faith to his refusal to be drafted for the Vietnam war. He traveled the world on humanitarian missions and was named a United Nations Messenger of Peace in 1998. Ali died at the age of 74, after a decades-long battle with Parkinson's disease. He was buried in a private ceremony in Louisville, after his coffin passed by thousands of well-wishers in the city's streets. Jonathan Eig, who wrote a biography of Ali, says the boxer was seen as a martyr for sacrificing more than three years of his career for his antiwar stance. "He had the spirit of a rebel," Eig told Fresh Air's Terry Gross in 2016. "You know, he was willing to fight for what he believed in. And then when he got knocked down and when he got hit with this disease, when he started looking bad and shaking and stammering on TV, he wasn't afraid to let people see him that way. And that's, you know, another kind of courage that he showed." Fischer says the renaming is part of a larger effort to share the ex-heavyweight champion's ties with the city. Last year, Ali's boyhood home in West Louisville was renovated and turned into a museum. An educational and cultural center in the city also bears his name. The airport board says the vote came after a working group studied renaming the airport for more than a year. It authorized an agreement with Muhammad Ali Enterprises, LCC to use Ali's name.